Hand your guests your property information in the best format available. 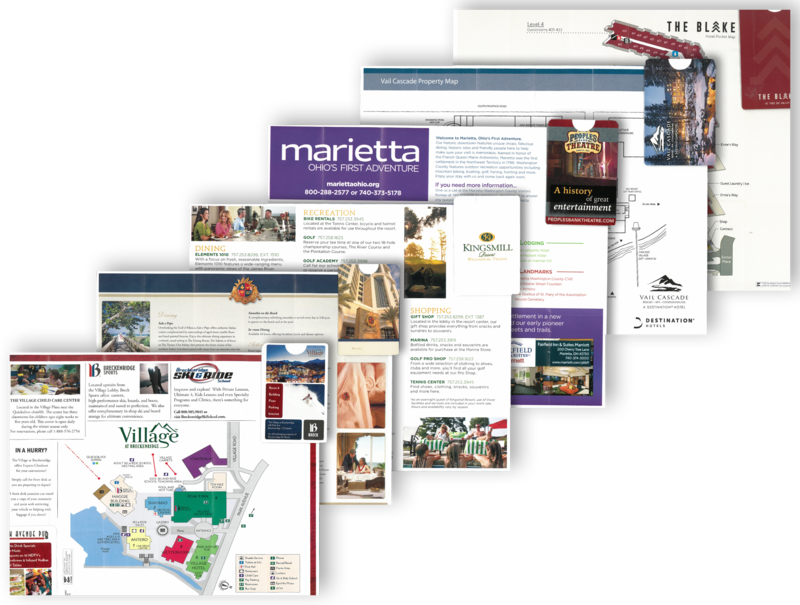 Z-CARD® has been making distinctive check in guides for Hotels and Resorts throughout North America for 20 years. Answer guests’ questions and sell your amenities in one elegant and useful package. Want to see samples? We will send them right away! People interact, read and keep Z-CARDS® for reference unlike any other printed product. Why? It’s the unique combination of a broadsheet and hard covers that creates more of a small specialty hard cover book than a simple flyer or envelope. Our hospitality program is tailored to meet your front office need and budget. 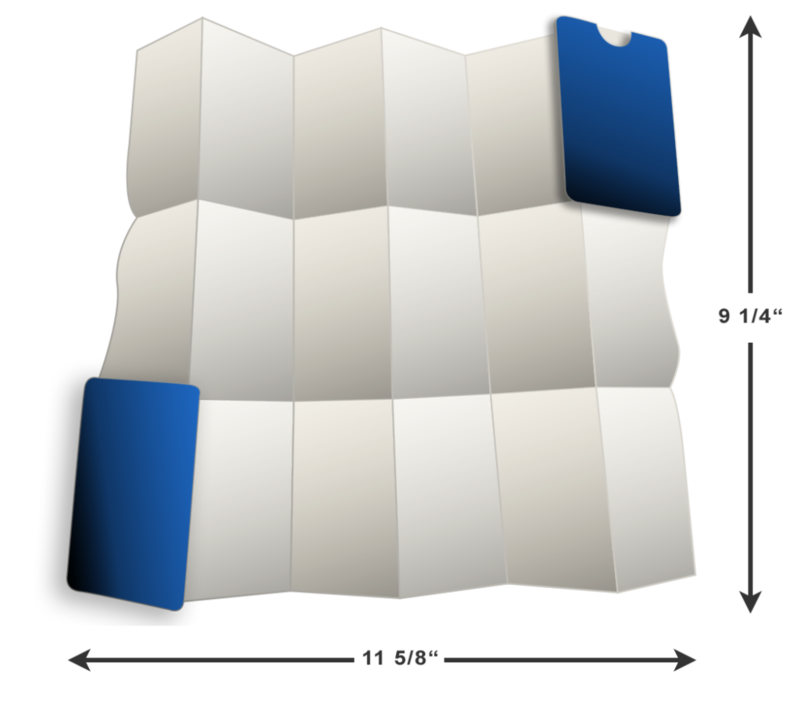 Our graphics team can help with your layout at little to no cost.